Those who look in regularly on Zelo Street will have recently been able to study the litany of dishonesty emanating from those who support UKIP and speak in its name: from former leader Nigel “Thirsty” Farage, to his successor, the “Bad Bootle Meff” Paul Nuttall, and on, the impression of wilful and deliberate falsehood is inescapable. The lying has even extended to Kippers who fetch up on Sunday politics shows. So it was that Suzanne Evans appeared on the paper review sofa of The Andy Marr Show (tm) and lied through her teeth about Nuttall’s fraudulent nomination papers for the Stoke on Trent by-election - this was merely Channel 4 making mischief - and Combover Crybaby Donald Trump’s “Muslim Ban” - Barack Obama did the same - in typically shameless fashion. But now, some of those UKIP stalwarts might be thinking again. Because, let us not drive this one around the houses for too long, the lying has just caught up with the Kippers in a seriously embarrassing - and seriously expensive - way, after 2014 intake MEP Jane Collins finally found herself on the wrong end of a lost libel and slander case, and facing a bill north of £350,000 for the privilege. She had publicly, deliberately and knowingly smeared three Labour MPs. The background has been put simply by the excellent Inforrm’s Blog: “Sir Kevin Barron, MP for Rother Valley, John Healey, who represents Wentworth and Dearne, and Sarah Champion, MP for Rotherham, sued Ms Collins for for libel and slander over a speech she gave at UKIP’s conference in September 2014 - a month after a report found that about 1,400 children in the area had been abused between 1997 and 2013”. What was worse for Ms Collins, “The judge said she alleged that each of the MPs knew many of the details of the exploitation yet deliberately chose not to intervene … She also expressed the opinion that they acted out of political correctness, political cowardice or political selfishness and were guilty of misconduct so grave that it was or should be criminal, as it aided the perpetrators”. And it got worse. Ms Collins tried her damnedest to spin and stall: she claimed “that he comments were a political speech, and that they did not contain any allegation of fact, but expressed an opinion to the effect that the MPs were likely to have known that sexual exploitation was a serious problem in the area”. Ah yes, “it was only an opinion column”. That might fob off complainants to sham press regulator IPSO, but doesn’t work with the courts. 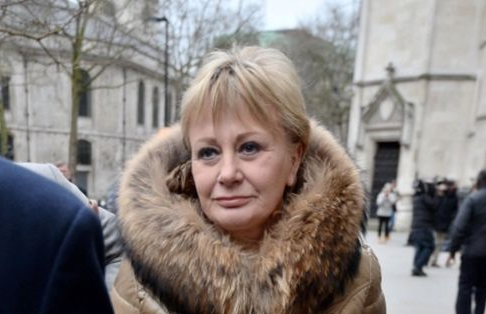 She also claimed that she was protected from any defamation action by MEP’s privilege. The European Parliament declined to assist her in this act of deflection. Her speech had been made in a purely national context (a UKIP MEP trying to hide behind EP privilege is another interesting one). Eventually, Jane Collins had to face the music, and now faces paying £120,000 in costs within 21 days, plus the damages of £162,000. Perhaps Farage, Nuttall, Ms Evans and the rest of the UKIP oddball brigade will think twice before making it up as they go along next time. Or maybe not - most of the time, it’s pretty clear that the Kippers don’t even think once before opening their North and South. I bet the prospect of forking out 350 large ones loosens her bowels somewhat. Still, she can always appeal to the community generosity of UKIP. Unfortunately, in a way, their lies are usually not actually 'libellous' of individuals, just institutions, political parties and minority groups, so the courts probably wont be too concerned with them. Sad. Her next expenses claim could be interesting. By merely claiming immunity it does make her look clueless and begs the question of what she has actually been doing at the EP, assuming that she has bothered to turn up. MEP immunity is limited to what the person could claim in the electing country, so she has the same privilege rights as an MP at Westminster - which only really covers what is said within the confines of Westminster (or the EP buildings in her case). Had she seriously looked at the terms of her job she should have known that. Did it never cross her mind to ask why other UKIP MEPs had not been shouting their mouths off about people? Good job UKIP aren't looking down the barrel of paying some serious wedge back to the EU or they wouldn't be able to help her... ah. Looks like she's on her tod then. UKIP work on the basis of the law doesn't apply to them. Nuttall not living in Stoke being another example, various issues around how EU money is secured and spent to run their operation are still being investigated. Unfortunately it highlights that despite us having lots of laws, the sanctions are generally no more than a slap on the wrist, so its worth ignoring them. In this case they lost, but I'm sure the guilty party has managed to get a decent pile of cash over the years feom the EU to pay for her indescretion. Simon Danczuk - Engagement Over? What Has The Sun Got On Keith Vaz?